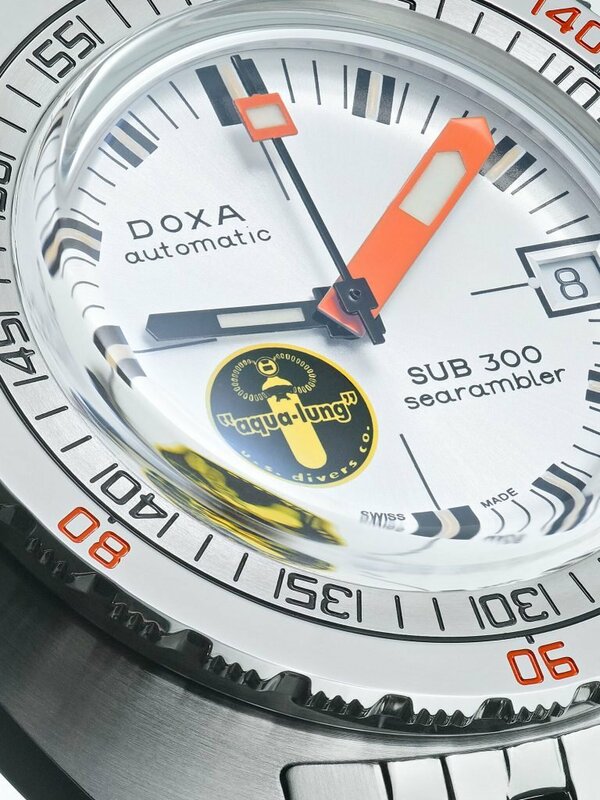 Revivals and reissues continue to be all the rage in the luxury watch world lately, and with DOXA’s latest release—the SUB 300 Silver Lung—the brand is poised to have yet another limited edition model sell out in a flash, having just gone up for pre-order this morning. 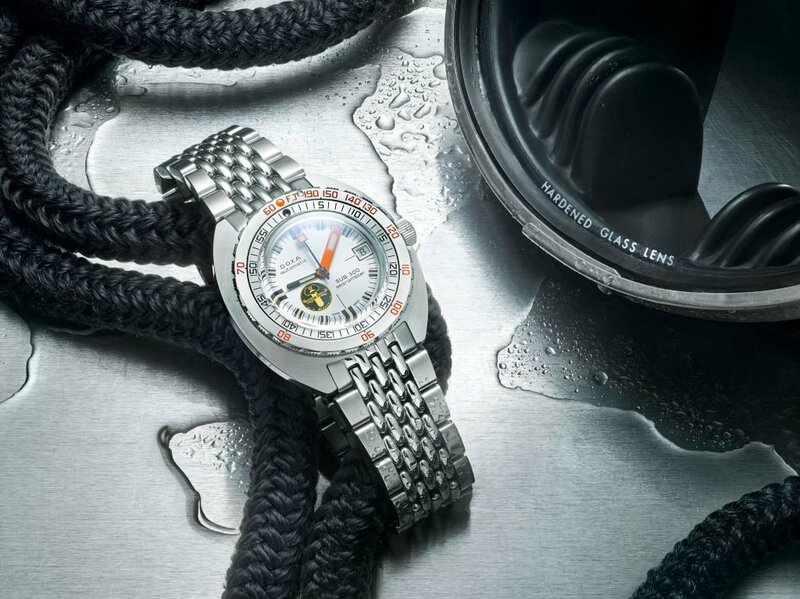 Modeled after an early Sea Rambler model designed and built in partnership with the famed dive equipment manufacturer Aqua Lung, this 300-piece edition is about as true-to-original as it gets. Aside from its bubble domed sapphire crystal and COSC chronometer certified ETA 2824 self-winding movement, the Silver Lung is a perfectly faithful recreation that simply didn’t require retooling in the same way that many modern reissues usually do. Of the countless dive watches on the market today, there’s something to the fit and feel of DOXA’s SUB 300 case strapped on the wrist that simply needs to be experienced to be appreciated. 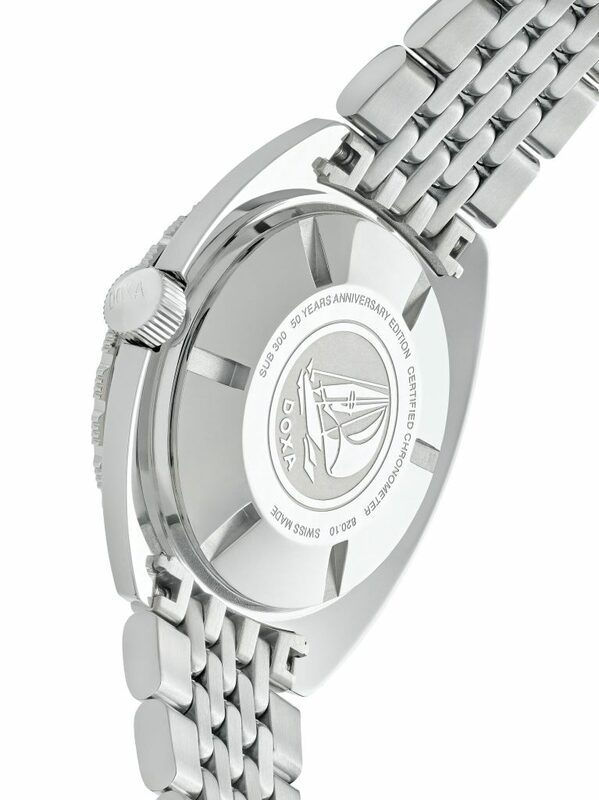 The relatively thin case profile, broad bezel, and short case lugs make the 42mm diver wear much smaller on the wrist than you’d expect from stock imagery, and the brand’s sleek beads-of-rice bracelet is to this day one of the most comfortable on the market, easily rivaling things like the Rolex Jubilee. In this Silver Lung form, you’re effectively getting the best of both worlds from a design and wearability standpoint. Its sunray silver dial is much more neutral than the bold orange of the limited edition Black Lung that launched last year, yet the old-school Aqua Lung U.S. Divers logo in black and yellow adds the right touch of historical throwback that helps the piece stand out when compared to the standard SUB 300 Searambler it is based off of. 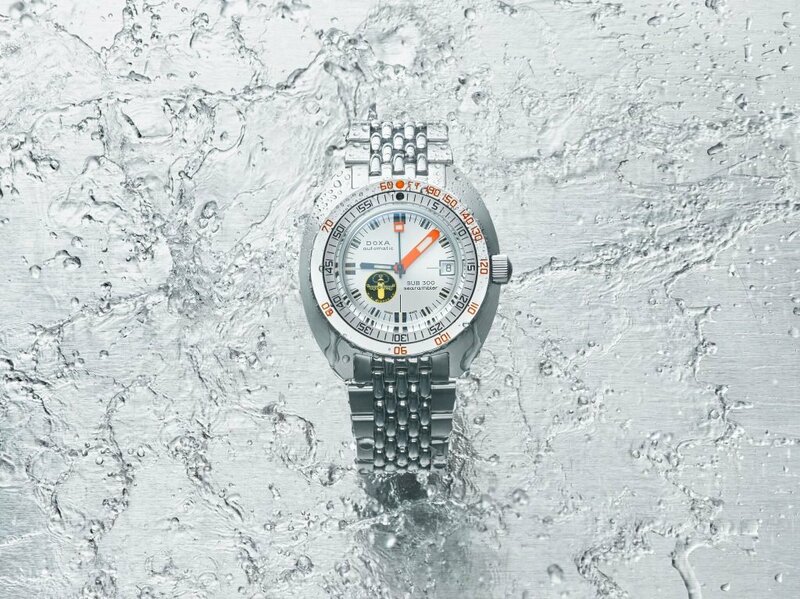 With so few pieces being released, thankfully DOXA isn’t at risk of saturating the market here the way countless other brands have with their limited edition models, leaving the only question of how quickly these Silver Lung pieces will take to sell out. The original Black Lung reissue from last year vanished within 24-hours, whereas the polarizing bright yellow Poseidon model that launched at Baselworld this year took a bit longer, which was understandable considering a bright yellow watch just doesn’t have the same level of mass-market appeal. Thankfully even though this is a pre-order, with pricing set at $2,190 rather than $2,490, deliveries are scheduled for sometime in August. If stock manages to stick around all the way until full pricing kicks in we’ll be VERY surprised. With over a decade of experience as a journalist and editor covering the watchmaking, the automotive industry, and other lifestyle topics, a general obsession with mechanical creations remains the common thread. Having worked for a broad range of industry and general interest publications throughout the years, Justin has developed a sincere appreciation for a wide range of watch brands and styles, as well as an ever-growing interest in the vintage watch market.